Last week we focussed on MEPC 73 and the near silence on ship recycling issues. 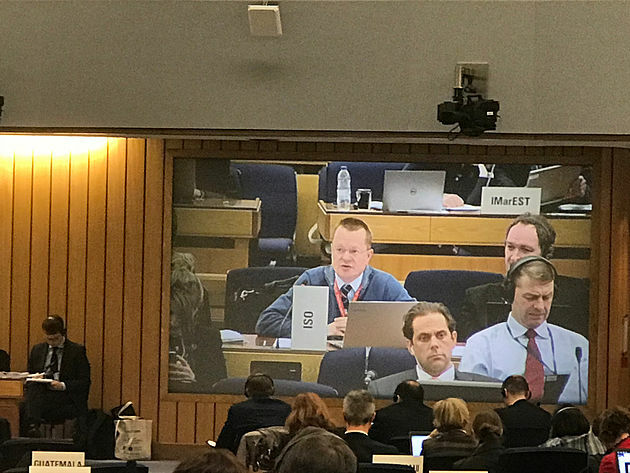 We noted the lack of support and drive for ratification of the Hong Kong Convention; only the briefest of mentions about ship recycling in the Secretary General’s keynote speech; and the increasingly complex recycling capacity calculations. So, what should have happened and what are the issues that should have been addressed? The EU Ship Recycling Regulation is leading the way to tell us – and the IMO – that we need solutions now, not tomorrow. These solutions will facilitate the ratification of the Hong Kong Convention, but only if found and applied in a reliable way by properly competent people, shipowners, facilities, member states and other stakeholders. Let’s be frank: Shipowners and other stakeholders do not understand the significance and importance of the Inventory of Hazardous Materials (IHM). All European newbuilds will require an IHM from 1 January 2019, and all existing ships entering EU ports – regardless of flag – will require a certificate or statement of compliance from 1 January 2021. There are insufficient expert companies to provide the IHM compilation services, and this will without question lead to IHM service delivery issues. Furthermore, people are already being misled by non-experts. This is extremely urgent, and the foundations of implementation are still insufficient. What should be happening is that, hand in hand with IMO MEPC encouraging ratification, shipowners should be gaining statements of compliance to show support for ratification and to enable entry to Europe in 2021. Furthermore, expert companies and other stakeholders must continue to build expertise in order to give consistent – and compliant – advice. In order to demonstrate that the HKC can be ratified industry needs to show that the whole system can work in practice. The linking device between shipowner inventories and the ship recycling facilities and their facility plans is the Ship Recycling Plan (SRP). In our experience, the situation is the same as for IHM; shipowners and other stakeholders do not understand the significance and importance of the SRP and again there are insufficient expert companies and plenty of non-experts offering advice. One solution is to follow the Shipping Industry Guidelines on Transitional Measures for Shipowners Selling Ships for Recycling (which can be found here), published by the ICS and the Industry Working Group on Ship Recycling. These measures recognise the importance of conducting a Final Survey, in accordance with the applicable terms of the Convention or EU Regulation, thereby ensuring that the IHM, SRP and SRFP are all aligned – and that confirmation of such should be deposited with the flag State. This is an immense subject, and we’ll try to keep it simple this week. At present the whole certification system is outside the familiar IMO system, as the Convention is not ratified. Since the Convention is not in force, Convention flag states do not exist – the handful of flag states who have ratified have mainly not allowed it to enter into force under national law. So, other than the EU List (which has a lack of certification transparency), no Government compliance against the Convention or the EU SRR exists which can be recognised at the International or Regional level. This means that, instead of Government certificates, we have companies issuing ‘Statements of Compliance’. This is standard transitional procedure. What is not standard is the lack of credibility of some of these certificates. Rumour states that over 60 yards in one of the ‘top five volume countries’ have statements of compliance from companies normally associated with reliable certification in the wider marine market, and that operational procedures in these facilities vary wildly. Rumour has it that a yard in another of the ‘top five volume countries’ has a similar statement from one of those normally reliable companies, despite the fact that the country has insufficient, or even absent, downstream waste management capability. If true, this is a dire situation, and certainly does not help those yards who do comply – it damages everyone’s credibility. Everybody has the same piece of paper. We need competent facilities, we need experts and we need reliable certification. All stakeholders should be transparent about compliance and work with the IMO to demonstrate how this information can be used to assist ratification. We urgently need the IMO to recognise the problems that stakeholders are finding, and that the EU Ship Recycling Regulation is properly bringing into focus. One of the aims of the EU Regulation was to help ratification of the Hong Kong Convention – it can do this by showing us the problems and helping us to find solutions in advance. But these problems and solutions need to be debated on an international stage, and that is at the IMO.